Virtual offices allow business owners to work from home while maintaining a professional image that comes with having a real office with all the advantages of working from the comfort of your home. 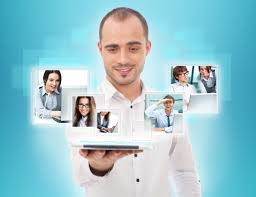 Here are several advantages of having a virtual office service. 1. A qualified receptionist will answer all calls on your behalf using your company name, just the way it happens in a real office. You can stop being your receptionist and concentrate on your work. There won’t be any worries about missing important calls from hot prospects and clients. The receptionist will screen your calls, and you will not be pestered to buy unwanted services. And when you are not available, the receptionist will take your messages and respond to clients. 2. Virtual offices are a great solution to on-the-go salesmen. Salesmen always travel in search for clients and most often they work from their cars. They also need the advantages that come with a virtual office. Thus, as a salesman, you can gain by having a receptionist pick the calls you might miss. You can also meet clients in a real conference room, and you can have a professional address to use for your business correspondence. 3. A virtual office allows people with home-based businesses to meet their clients and prospects in a conference room, not in a coffee shop. This adds a professional touch to your business. You can hire the conference room for as long as you want. You can also give presentations without the worry of anyone eavesdropping. By this, you will build trust quickly because your business prospects will see that you are a serious businessperson. 4. A virtual office will give you privacy from clients and vendors. Some clients have a bad habit of dropping in on you and distracting you your schedule. With a virtual office set up, you can plan and choose when to meet them. When someone drops in on your virtual office, your receptionist will tell him or her you are “out of office.” You can plan a meeting and be fully prepared when you meet them. Your client will never drop by your house when you are in your pajamas. 5. Home-based business owners know some distractions can’t be avoided. For example, you can have guests staying over your house, leaving you with no time to do your work. With your virtual office, you have the choice of hiring a fully furnished office to work on your projects without any distractions. 6. A virtual office makes it possible for you to be found on Google Places because you will have a real business address. This address can be added to your business cards instead of providing your home address to strangers. This will increase your privacy and security. 7. A virtual office is a simple way to obtain an address in a different part of your state or a different state without the need of paying for an office. Having one makes it easy to expand your business to new clients and markets while avoiding additional costs. Virtual office services from a provider such as Solidcactus.com give you versatility in your business by providing a cheaper solution to managing your business while retaining your profits. It also enables you to work in the comfort of your home while at the same time keeping you away from distractions from unwanted visitors. When i put my Business Online, i think am also on the part of doing Virtual Office for it?